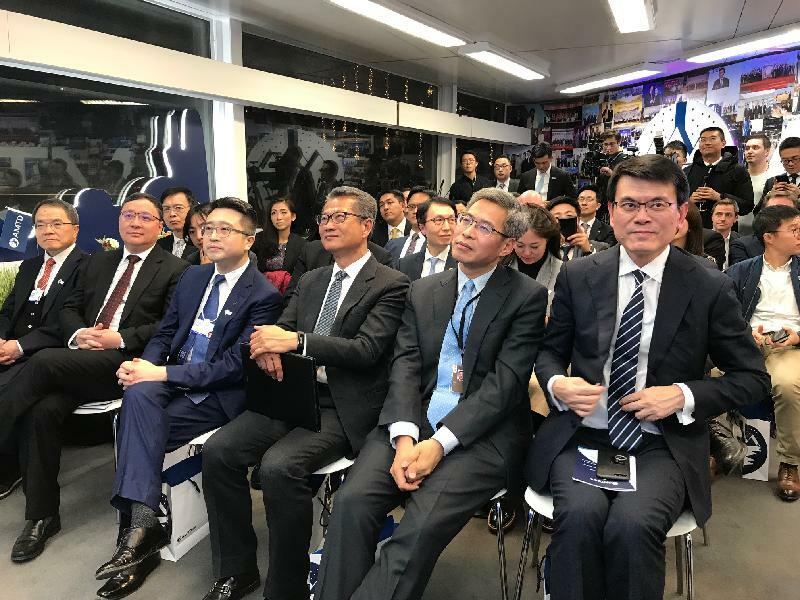 The Financial Secretary, Mr Paul Chan, today (January 22, Davos time) joined two fora to discuss cities' readiness for artificial intelligence (AI) and the opportunities in the Guangdong-Hong Kong-Macao Greater Bay Area (Greater Bay Area) while attending the World Economic Forum Annual Meeting in Davos, Switzerland. 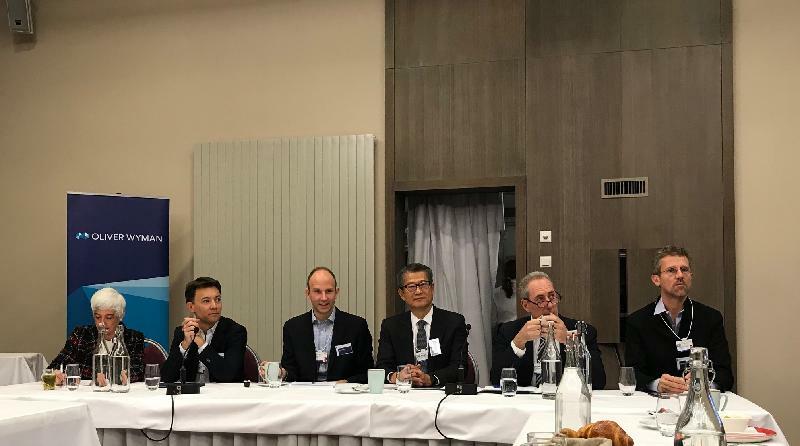 This morning, Mr Chan attended a breakfast forum organised by a global consultancy firm, focusing on the impact of AI on development of a city. As one of the panelists at the session, he said that a major direction of Hong Kong's technological development would be AI, which can help promote the developments of smart city and various industries. 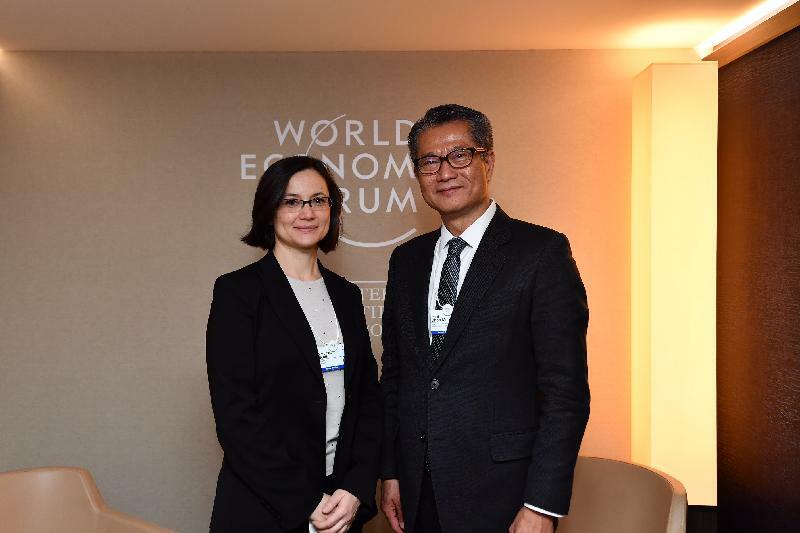 Ahead of this forum, Mr Chan yesterday (January 21, Davos time) met with the senior management of the organiser. They exchanged views on the development of Hong Kong's finance, accounting and insurance industries. In the evening, Mr Chan addressed a forum on starting businesses in the Greater Bay Area organised by a finance group based in Hong Kong. He said that the Greater Bay Area offers limitless opportunities for new idea and inventions. Hong Kong has the know-how, experience and connection to help the next generation of entrepreneurs to explore opportunities in the area. Later, Mr Chan met with the senior management of a Swiss reinsurance company with a business history of over a century. Apart from updating them on the latest measures launched by the Hong Kong SAR Government in enhancing the competitiveness of the insurance industry and strengthening Hong Kong's status as an international financial centre, he encouraged them to leverage the city's unique advantages to tap into the opportunities under the development of the Greater Bay Area. In the next two days in Davos, Mr Chan will call on finance officials from other countries and regions to strengthen Hong Kong's ties with these places.